32kg max payload offer outstanding support for EFP configuration camera and studio application. Improved drag system enhances the smoothness of head movement. 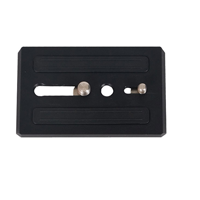 In addition, our graded drag adjustment ensures fast change of tilt and pan drags. 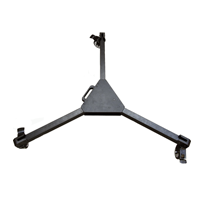 Step-type counterbalance system helps the camera operator to balance the camera in moments without having to change over and over again to look for the right amount of counterbalance. The quick release mechanism ensures operator to quickly mount or dismount the camera on the head at a moment's notice. The head is a 100mm ball head, which is compatible with most 100mm tripods on the market. Our Speed Locking system ensures a quick setup meaning operators can get it ready for work within moments of unpacking. 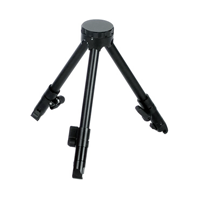 Lightweight, solid and strong, it supports up to 20kg, use with various heads to support DV/HDV cameras. Equipped with off ground and ground spreaders, stability is never an issue. The durable and heavily tested lightweight Carbon Fiber that the tripod is made from ensure its high rigidity and long lasting status.